The four figures represent the patient, the caregiver, the family- and the community. The circles represent the circle of life – where everyone is cared for at one time or another. 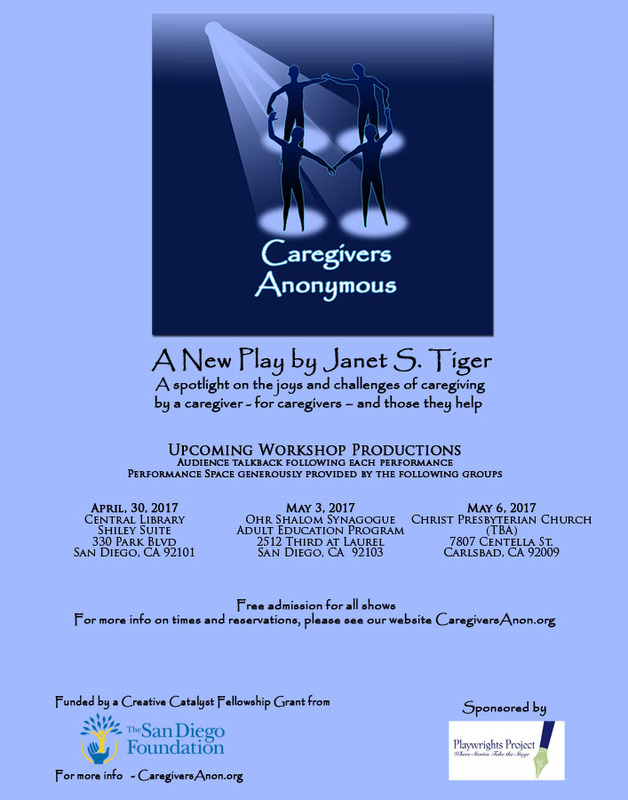 CAREGIVERS ANONYMOUS is a theatrical experience introducing audiences to the challenging lives of caregivers, with the goal of helping to improve those lives. Caregiving has always been a universal constant. At birth and throughout life, we are taken care of, then we often take care of others, and finally we are cared for again. As a caregiver, the work I do can touch the lives of a few people. As a playwright, through this fellowship from The San Diego Foundation and sponsored by Playwrights Project, my work is now touching many lives – theater with a purpose. The full circle of life. 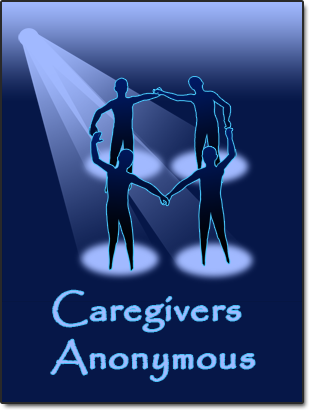 Caregiver Social Security Act bills in Congress now.